To contravene a law or rule is to do something that is not allowed or forbidden by that law, rule, or agreement. If someone is rotund he has a round and fat body. To wallow in something is to immerse or roll or absorb oneself lazily in it; wallow can also refer to being very involved in a negative feeling, such as wallowing in misery or self-pity. Young people aspiring to be models are often swept up from every state into the spinning and energetic central vortex of the New York City modeling scene. Rarely can one make it big outside of this modeling vortex or whirling force that absorbs all within its attractive center. The New York City agencies that govern the power and success of the world’s supermodels have created this modeling vortex or commercial whirlpool into which all are drawn. Quiz: Try again! 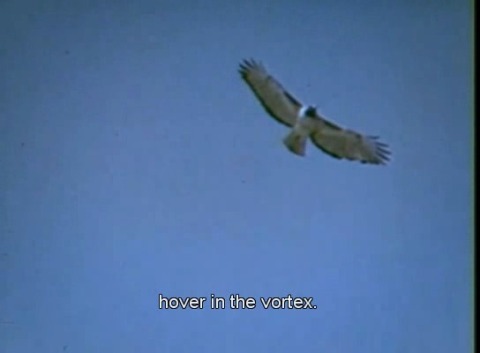 What is a vortex? It is that which moves around uncontrollably in an unlimited area. It is that which repels things that don’t belong. It is that which serves as a central focus that draws people in. A vortex is a force, such as a tornado or whirlpool, which draws things to its center, and overwhelms anything caught within it. The Vortex of Texas The vortex of Texas is about to devour all the other states--luckily it's big enough to do so! The nature of a vortex is the force it creates while “turning” quickly, and thus attracting things into it. The Pretender Jarod discovered the natural heat vortex just by watching the hawks.